Le Marais comes up more often than not when researching Paris. For good reason, this area is one of the oldest preserved areas in Paris. 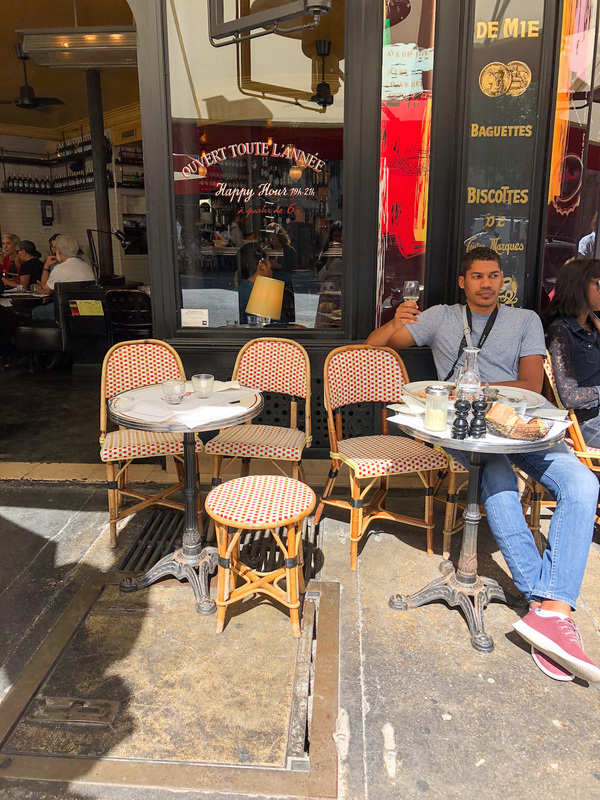 Delightful cobblestones alleys, small but lovely gardens, the most delicious pastry shops and cafes, a couple of excellent coffee shops – Le Marais has everything you might desire. It mixes the old and new Paris, and comes up with something quite delightful. 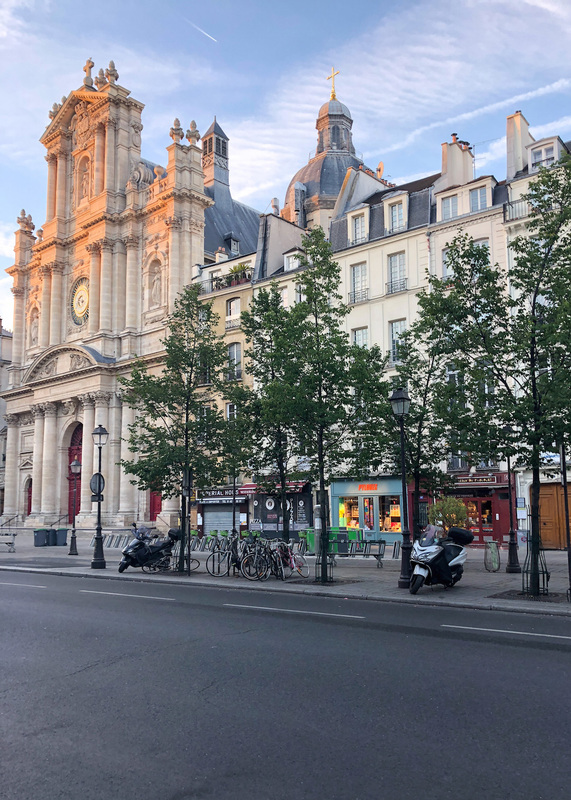 Early mornings were my favorite times to walk through Le Marais. The morning light and the lack of crowds makes for perfect pictures, and timeless memories! 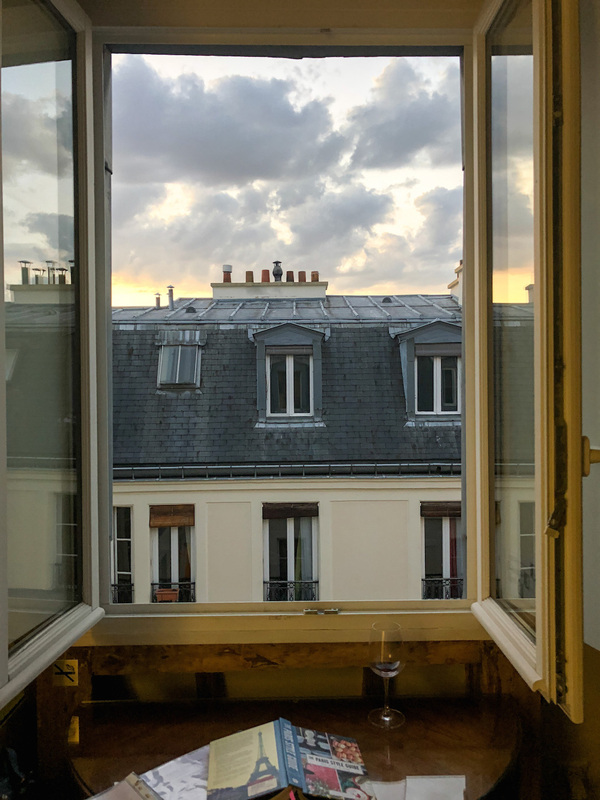 We stayed at a gorgeous little Airbnb on Rue des Rosiers in Le Marais. 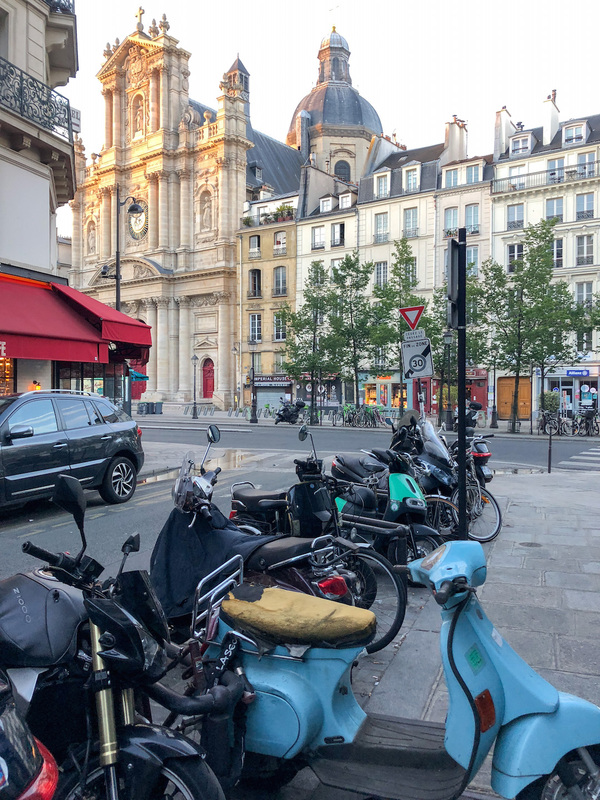 This was not only the perfect base to explore Le Marais from (obviously!) but was also very convenient to explore the rest of Paris from! 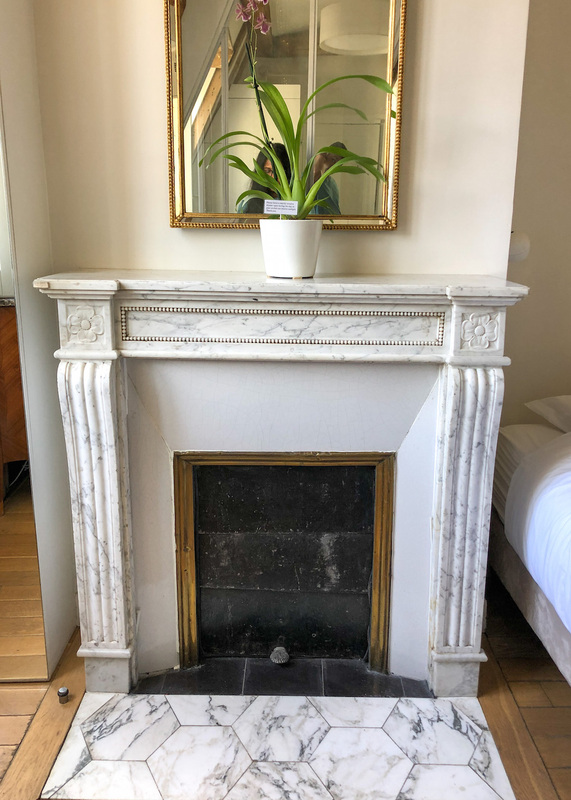 There are a few hotels in Le Marais, but the really good ones are fearfully expensive, and the cheap ones don’t quite make you feel like you stepped into Parisian luxury. This apartment is the perfect balance. 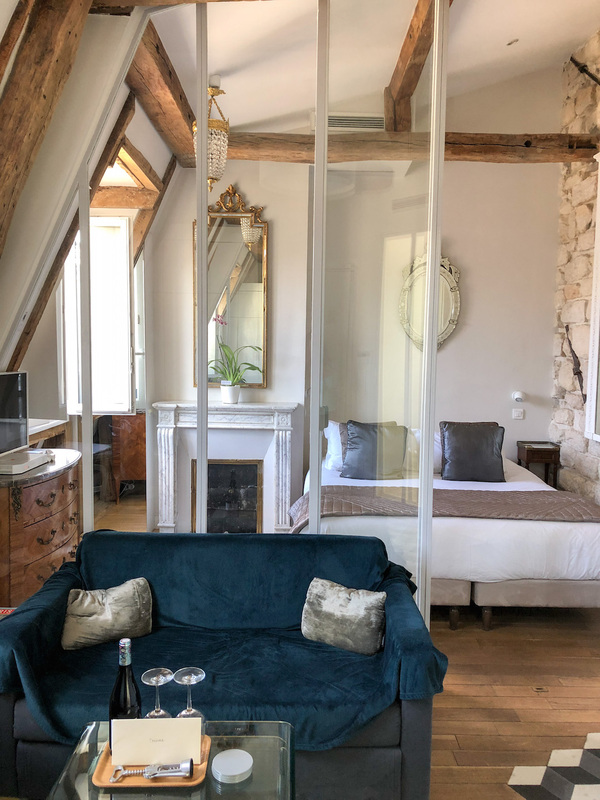 It’s in an old building, on one of the oldest streets in Le Marais, but beautifully renovated from the inside. 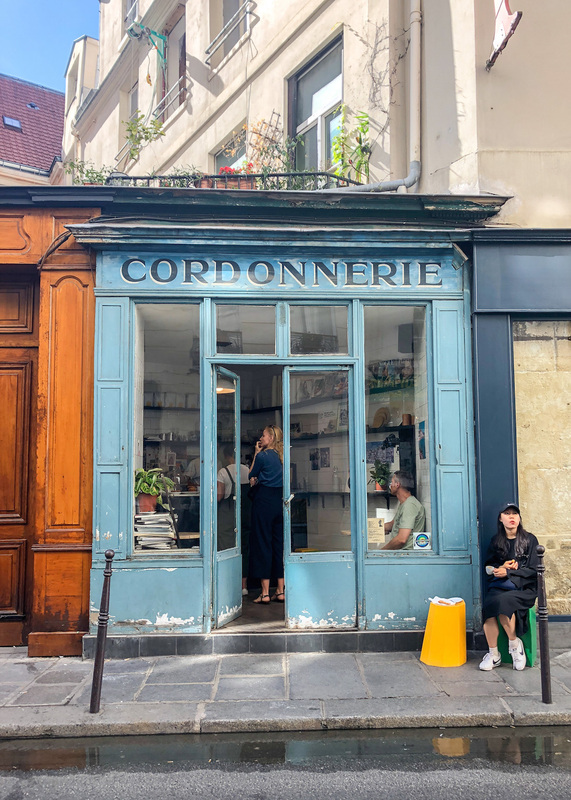 Just like Le Marais itself, it’s a mix of old and new. 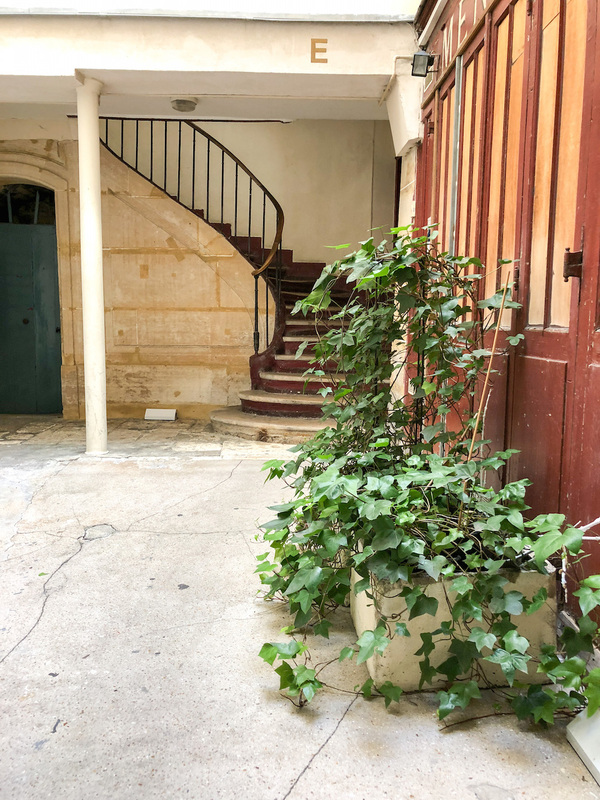 Rue des Rosiers is a very busy street during the day, but entering the courtyard of the apartment building immediately drowns out the noise and brings in a sense of peace. 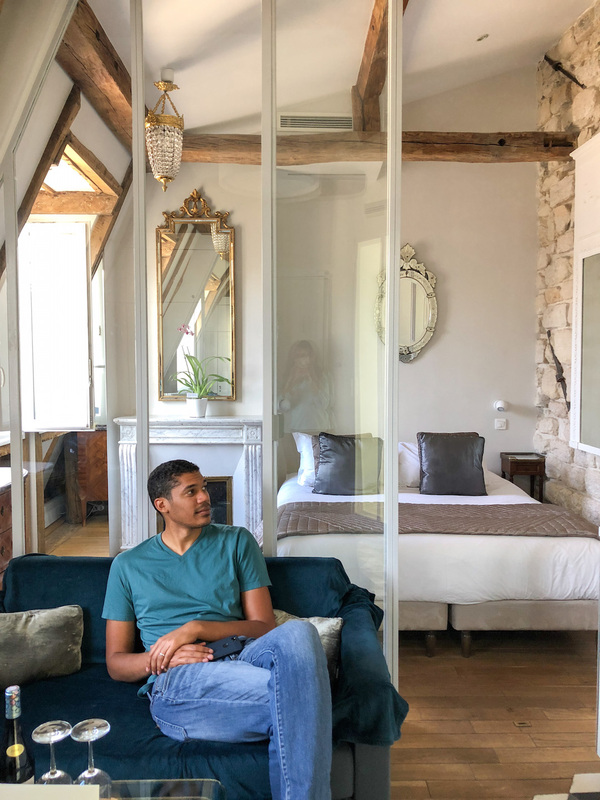 We loved the host, Michael’s hospitality – he left us a personal note and a bottle of wine, and also accommodated us leaving our bags at the apartment till the next guest checked in. 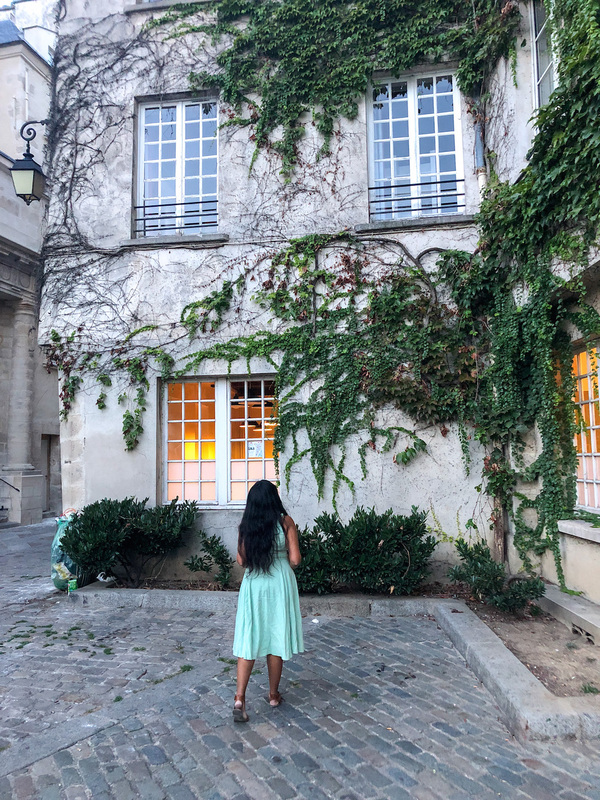 So it really was much better than a hotel, at a very reasonable (for Paris!) cost. Rue des Rosiers is a cobblestone street in the old Jewish quarter. 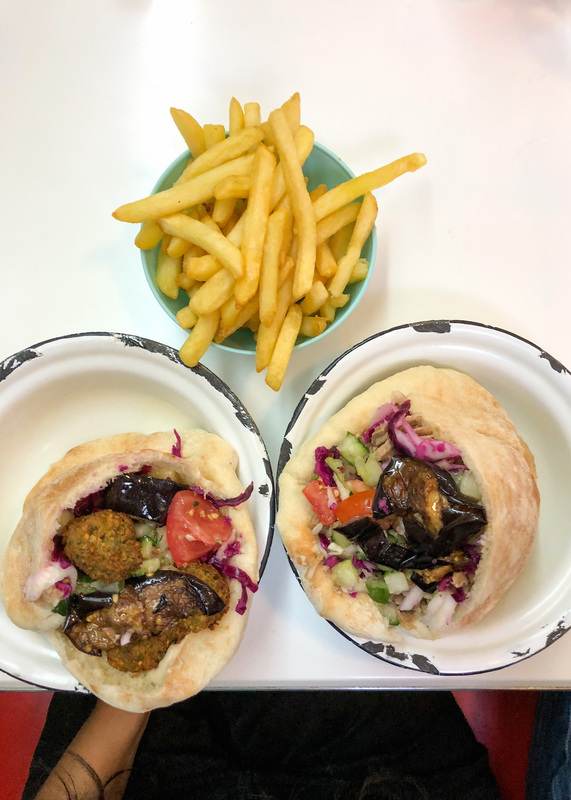 It is now lined with stores on both sides, but still features a few delicious falafel shops. L’as du Fallafel seems to be the most well known, but it was closed the entire time we were in Paris. 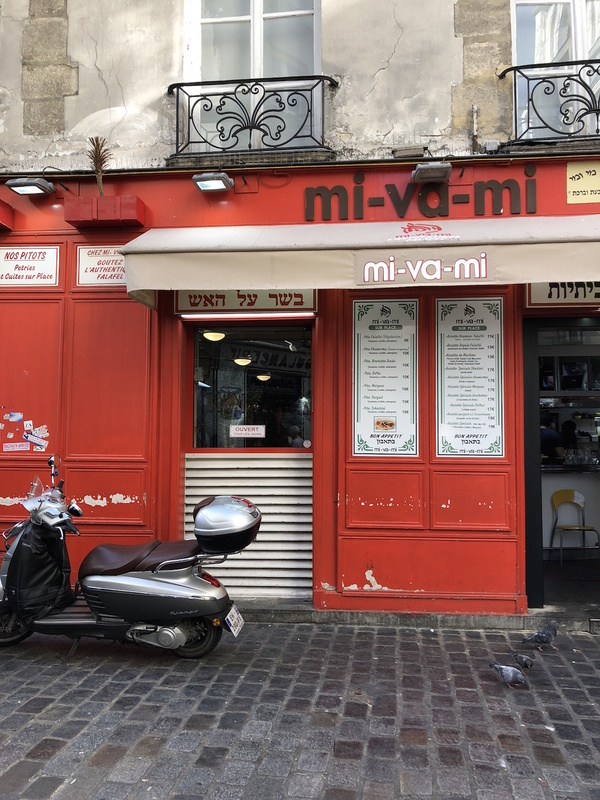 However, we tried Mi Va Mi which is right across from L’As and it was delicious! The service was also great, so this was a lovely start to our Parisian holiday. 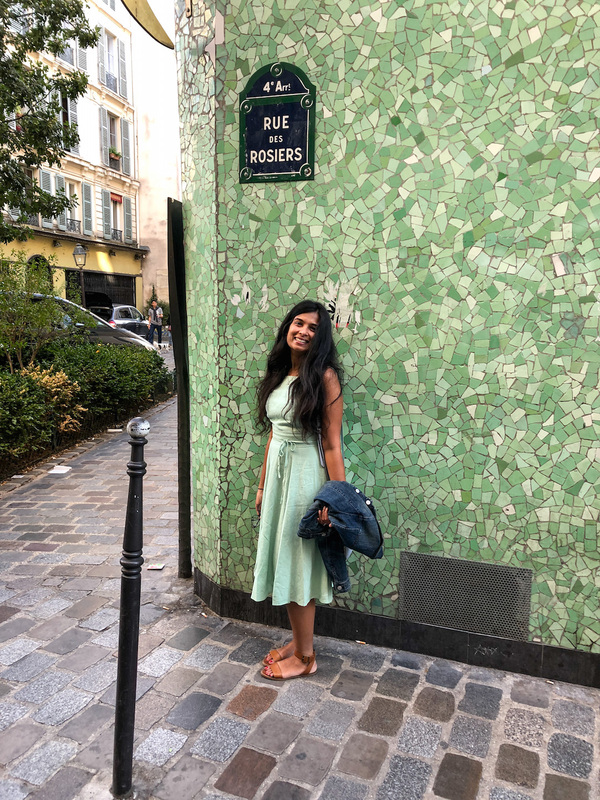 I loved staying on Rue des Rosiers because I got to see it in the mornings and later in the evenings when it was quiet and lovely. 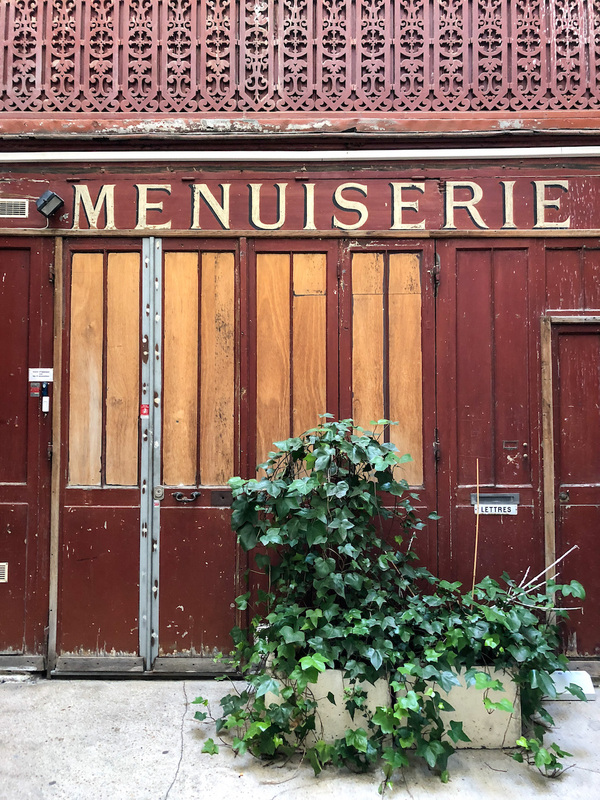 If you only go to Rue des Rosiers during the busy afternoons (especially avoid Sunday afternoon), you will miss out on all it’s charm, and walk away quite incredulous that anyone would recommend it. 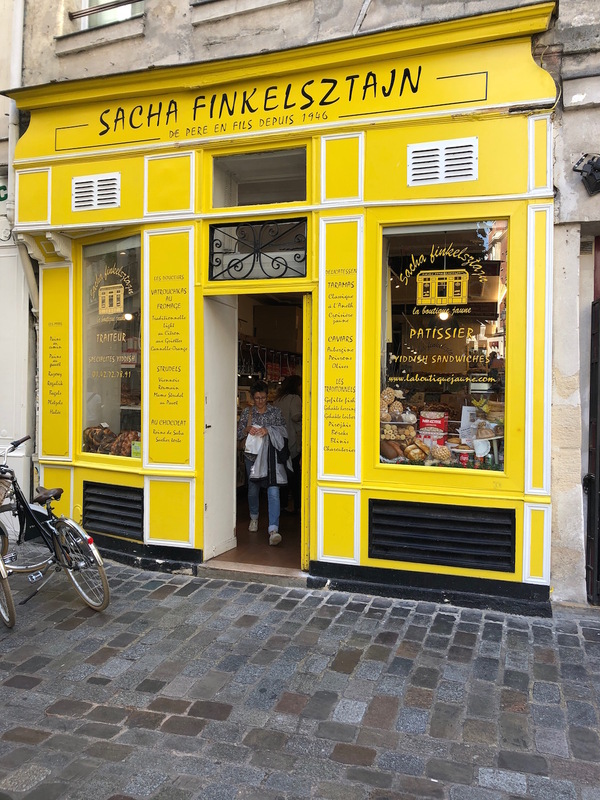 Rue des Rosiers is also home to one of the cutest (and yummiest) bakeries in Paris, Sacha Finkelsztajn. Of course, this isn’t a typical Parisian bakery, but definitely worth a try for a change. 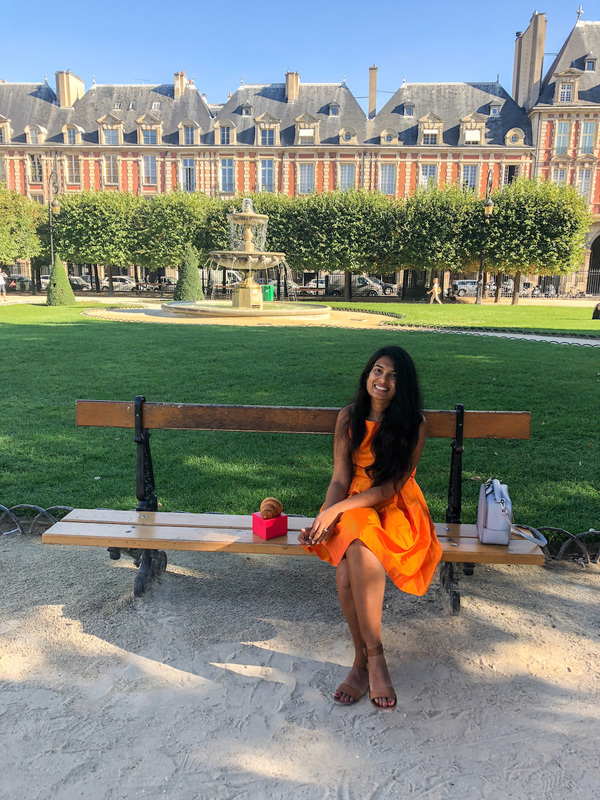 I recommend choosing a bunch of different pastries to-go, and heading to one of the lovely Le Marais gardens to picnic! 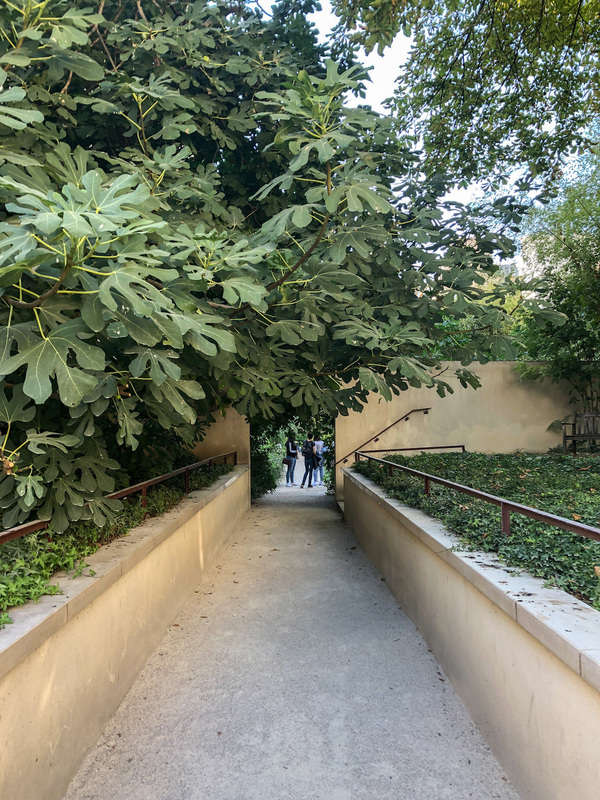 The closest park to Sacha Finkelsztan, and my personal favorite in Paris is the Jardin des Rosiers. If you didn’t know about this, you would probably miss it. This might be why it is mostly frequented by locals, and very uncrowded and peaceful. The most disruption you might have in this park is a walking tour or two, they come in quickly, look around and admire, take a few pictures and leave. Don’t be them. 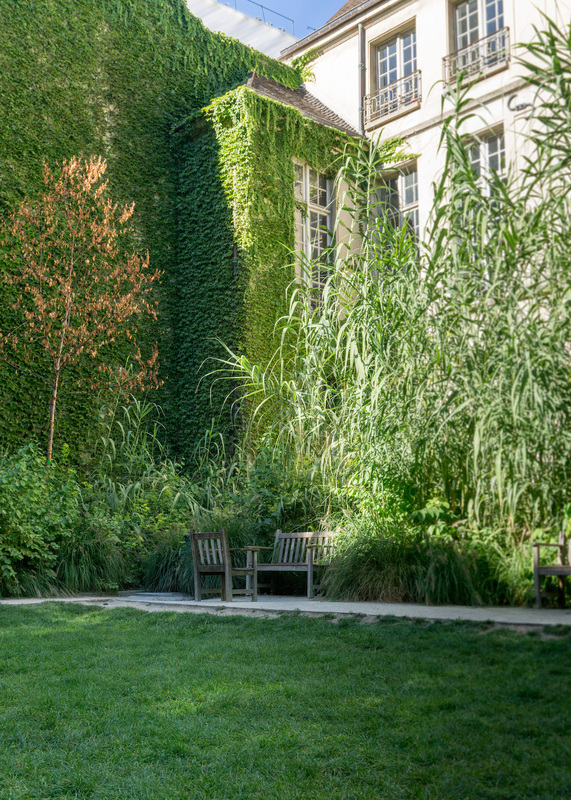 The way to enjoy the Jardin des Rosiers is to simply be there. Bring a blanket and a book, and your choice of pastries (note that alcohol is not allowed in this garden). Then spend a pleasant hour watching how Parisians relax, learning to relax yourself. 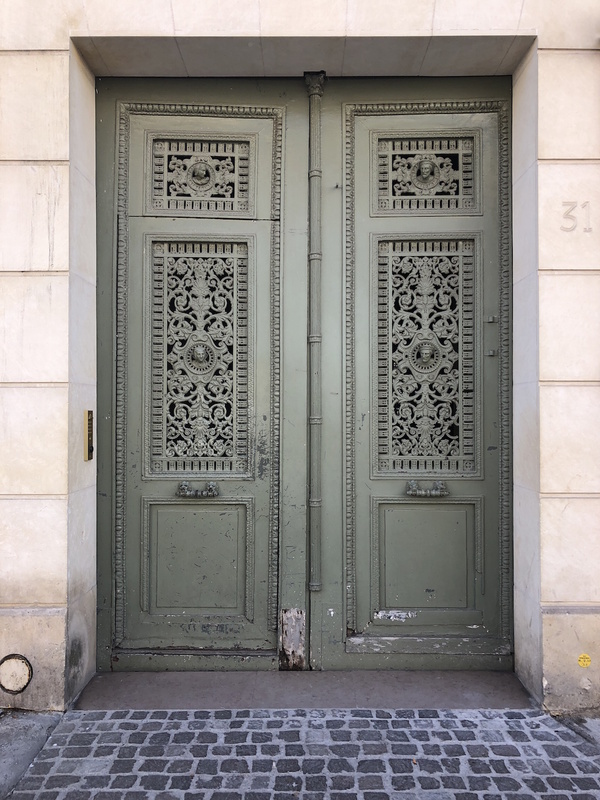 Once you venture out of Rue des Rosiers, I recommend walking to the 3rd Arr. 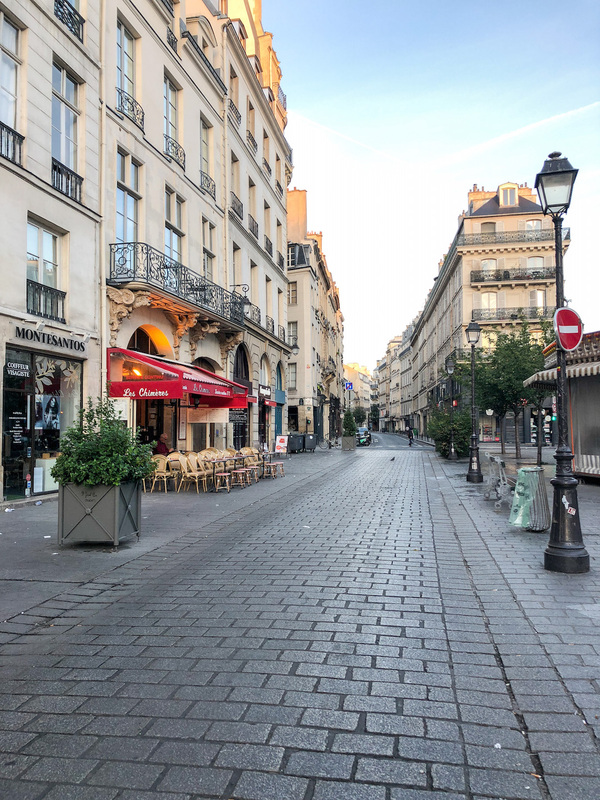 This part of Le Marais is less crowded and more frequented by locals. You can see it in the restaurant crowd especially. On our first evening, we found ourselves there after trying to get away from the crowds in the 4th Arr. Our desired destination La Perle was too crowded, so we tried out Breizh Cafe. They serve crepes and Breton style cider. The food was delicious, the service excellent, and sitting outside on a pleasant September evening, watching the chic crowd of the 3rd Arr. stroll by, was pure pleasure. 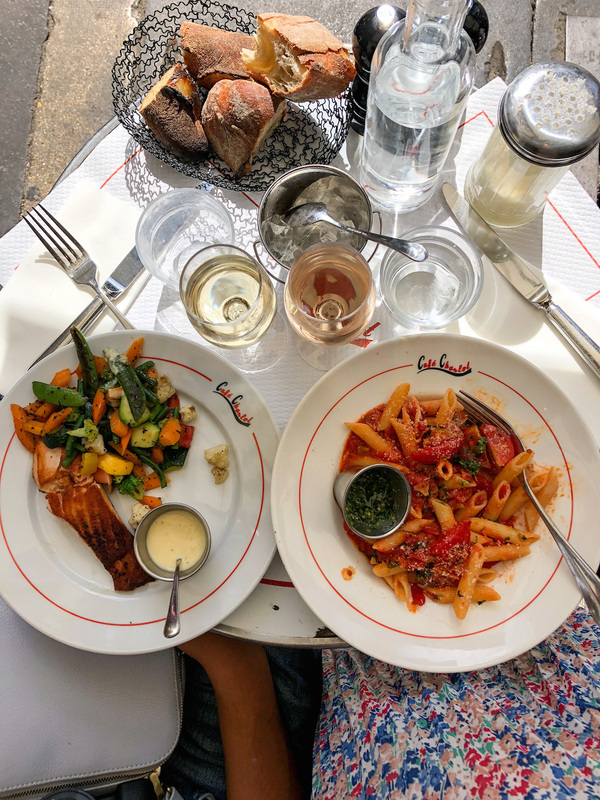 During the day-time, you should definitely head to Cafe Charlot. 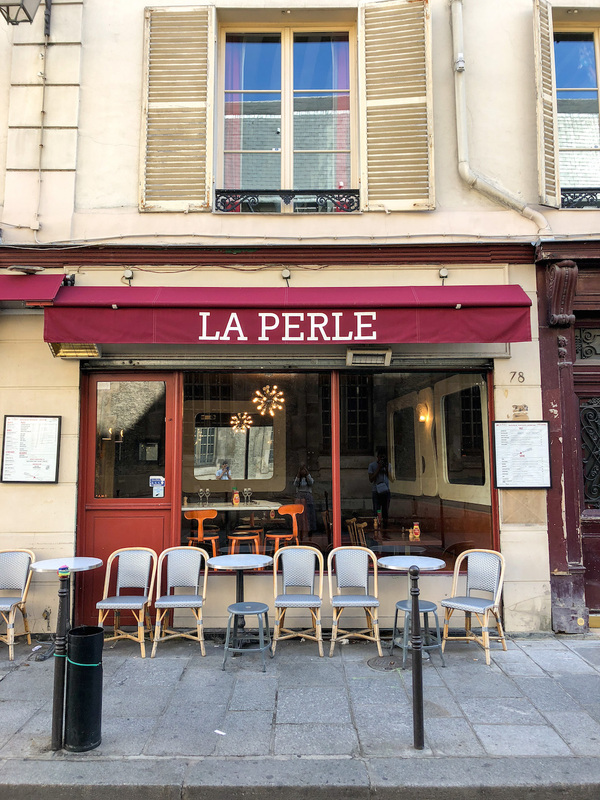 This is the quintessential Parisian cafe, with outdoor seating ideal for people watching. Since it is not very touristy, the servers are very nice and accommodating. Just beware though, that sitting outside in Paris could mean that you inhale a lot of second hand smoke. It rather ruins the experience, so I hope you get lucky enough to find a seat away from the smokers. While in the 3rd Arr., you must check out Merci. Merci is a famous concept store, with a cafe, books, women’s clothing etc. However, everything is so chic and well-arranged! It’s definitely worth a visit if you are in the area! The 3rd Arr. is also home to my absolute favorite little coffee shop, Boot Cafe. This is an old cobbler-shop turned coffee-shop. The facade is deliciously beautiful, and the espresso is strong and delicious. I love when a coffee shop has a cool atmosphere, amazing coffee and a good barista. 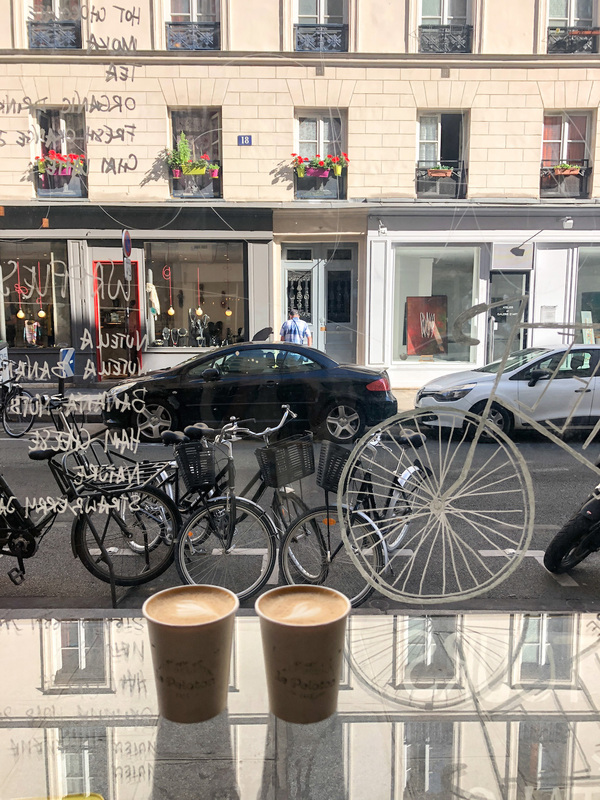 Boot Cafe is tiny, so walk with your coffee to the Place des Vosges. This is a peaceful and lovely little spot to people watch, a square full of history, fountains and lush green lawns. We went around lunch time with our picnic blanket, delicious treats from Sacha and cappuccinos from Boot Cafe. It was so nice to see everyone enjoying their lunch as a picnic in the park, soaking in the last bits of summer. 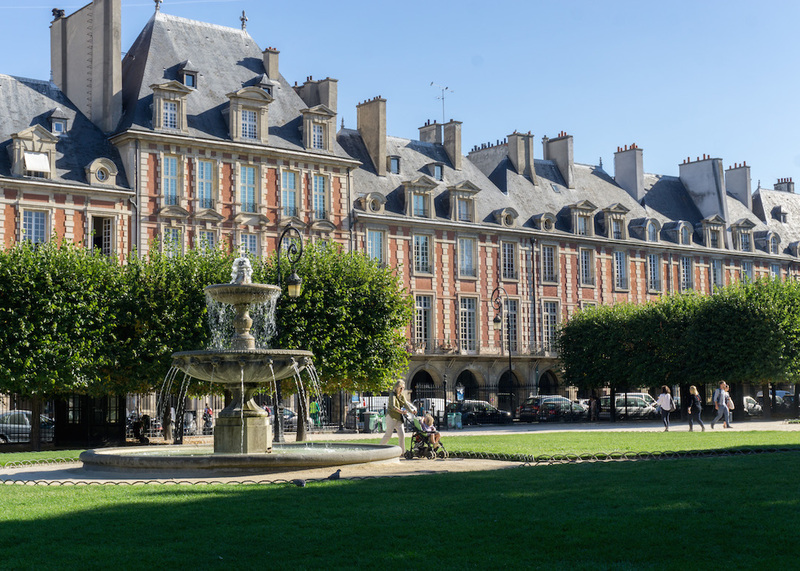 On the north-west end of the Place des Vosges is another (not-so-secret) garden, that of the Hôtel de Sully. It’s an interesting little garden, definitely worth a stroll through. I recommend you stroll through to the Village St. Paul. Here you will come across cuter cafes, historic cobbled streets, pretty doors and ivy-lined buildings. Past the Village St. Paul is the River Seine. Walking along the river during golden hour is the definition of romance itself! 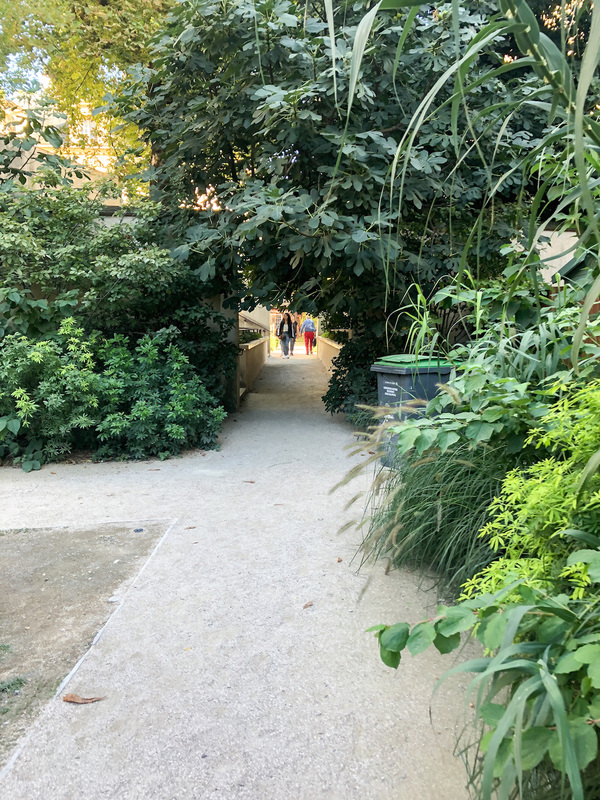 Hopefully your walk also leads you across the short bridge to Île Saint-Louis and Île de la Cité. But that is for another post! 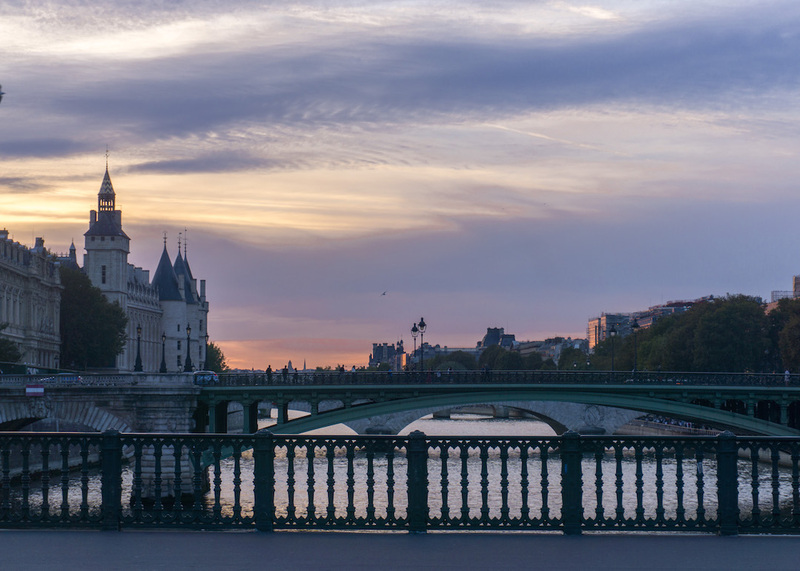 The bridges are perfect places to observe the lovely Parisian sunsets, such as this one from the Pont Louis-Phillipe. Heading to the river to the Pont Louis-Phillipe (north of the Village St. Paul) is a delightful walk that takes you past a few stationary stores, a cute coffee shop called Le Peloton, and some good restaurants. Le Peloton also organizes bike rides around Paris and to Versailles. We didn’t get a chance to try them out, but it’s worth looking into if you like bike tours. 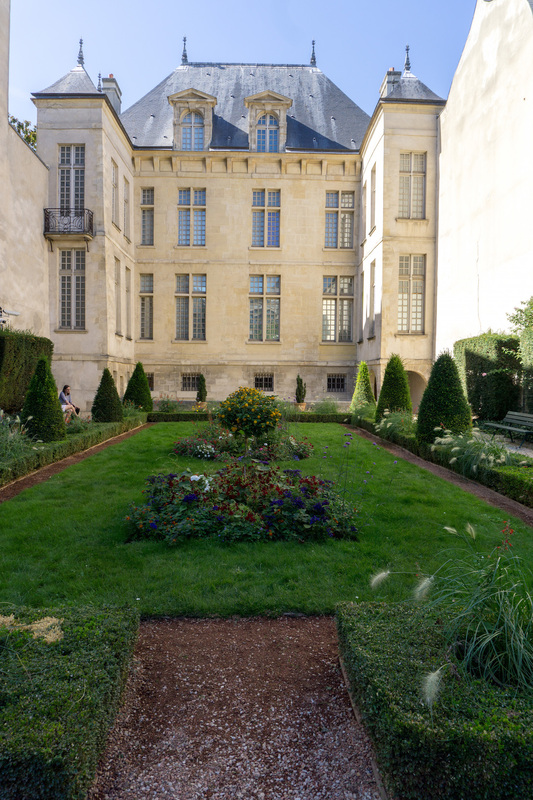 I can’t write a post about Le Marais without mentioning another little secret garden. This is the Jardin Lazare Rachline, set behind the Musee Cognacq-Jay. You can enter the garden even if you aren’t going to the museum. It’s a small garden, but very pretty and tranquil. Reading or eating a croissant on the benches feels oh so Parisien! 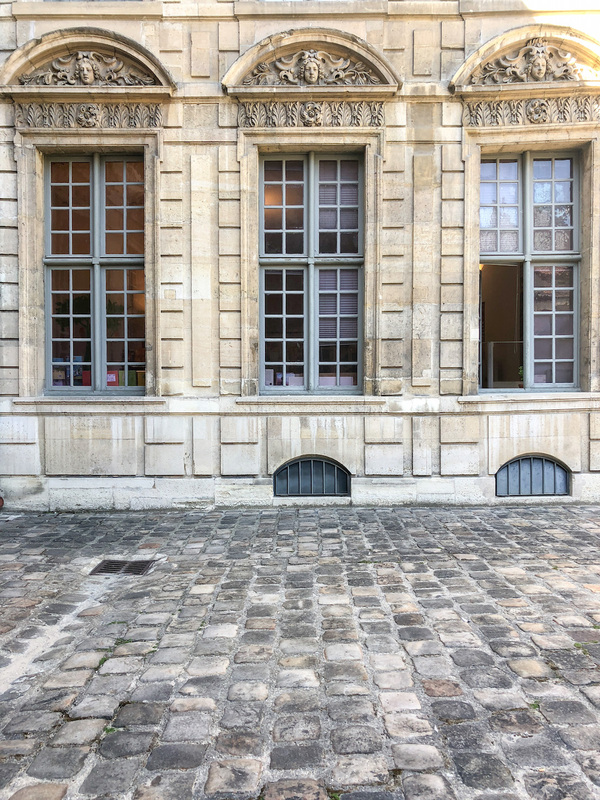 Finally, I also really wanted to visit the Carnavalet Museum, which houses details on the history of Paris. However, it is unfortunately closed for renovations for the rest of the year. 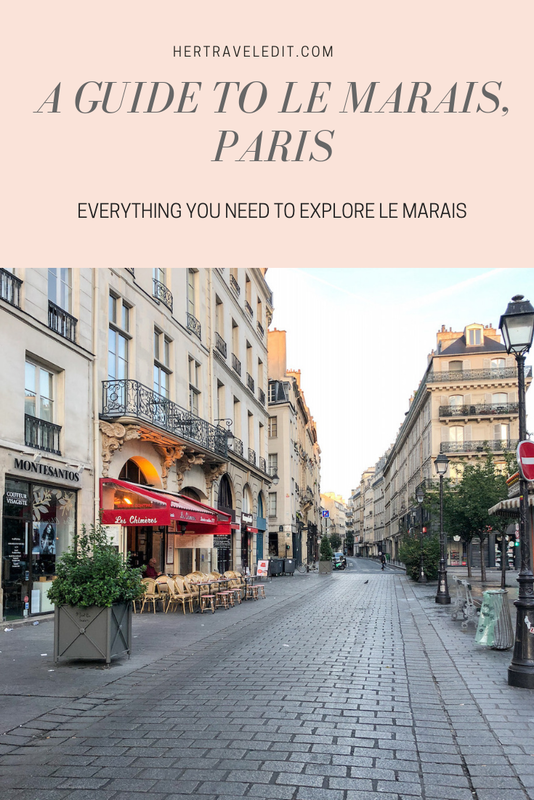 I urge you to use this post as a guide, but then to leave it behind and just get lost in Le Marais. The narrow winding alleys and delightful cobbled streets beg to be explored unguided. 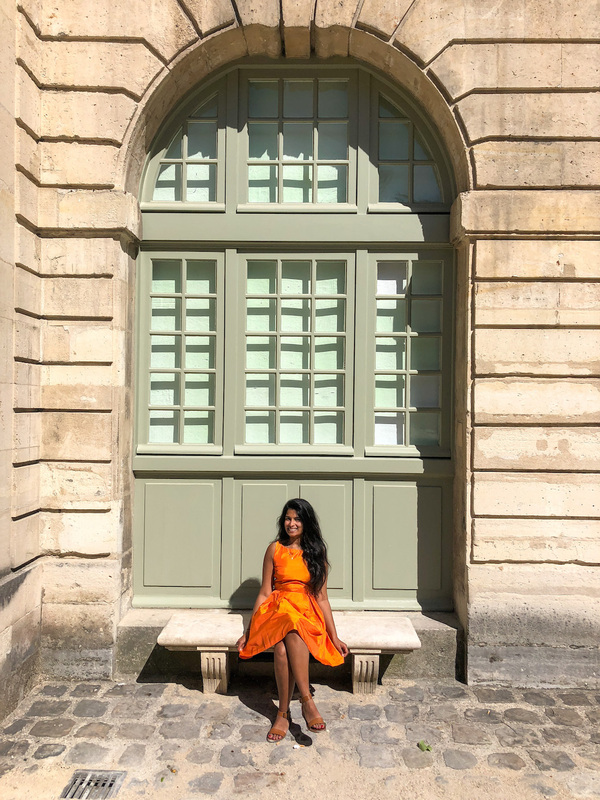 Find your own gems in the Marais, and if you do – comment below and let me know? 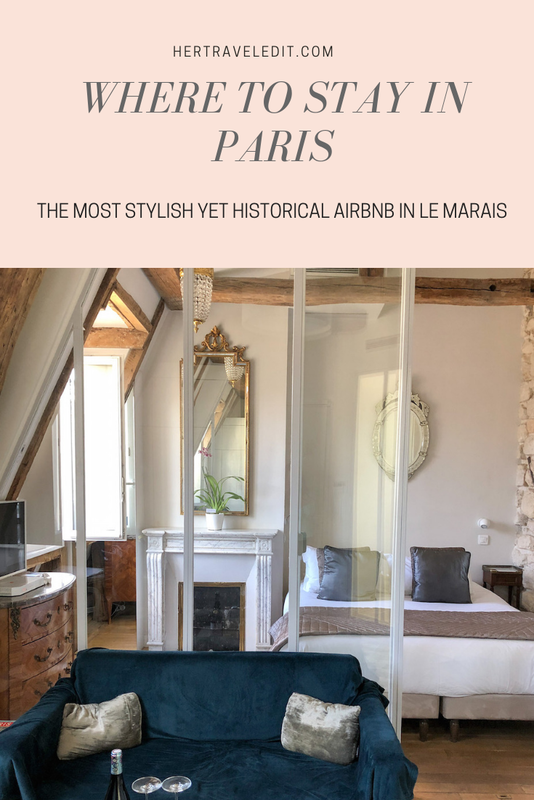 Airbnb : Style and Luxury on Rue des Rosiers (Note : if this is unavailable, the host has similar Airbnbs in the same building here, here and here). 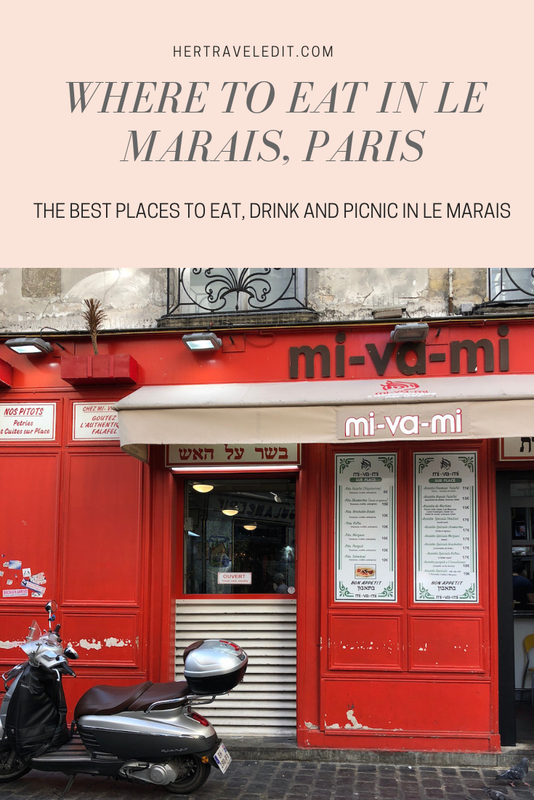 Here’s a map of Le Marais bookmarked with all the spots I mentioned in this post. You know the drill. Pin this post to refer to during your dream Paris holiday!